. Published on May 17, 2017 . 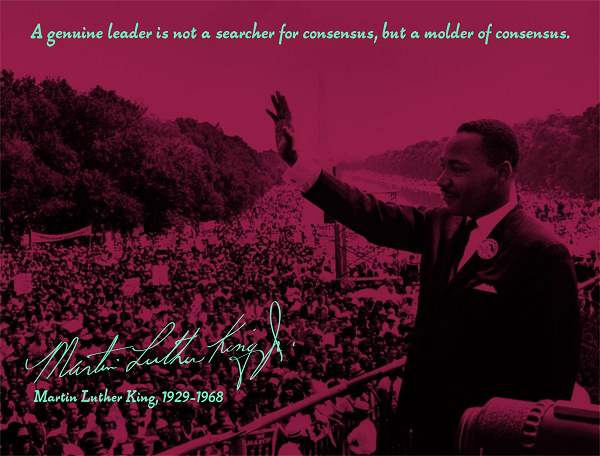 Consensus is an excellent decision-making process to use if your goal is to go slow and preserve the status quo. It is a necessary decision-making process when peers need to collaborate and no one person has the authority to make the decision. But it can dampen innovation. It can weed out the quirky genius. At Google, according to a recent article in Inc., many important decisions are made by consensus. Decisions to hire, to promote, to advance an initiative, must be approved by “packets” of people who collaborate on decisions. Given that it’s Google, the process relies on collecting and presenting data and then making a case for what the data means. Does it take more time? Yes. Does it build better relationships? Google says that it does. Does it result in better decisions? Google thinks so. Findhorn is an ecological community of 400 people living in northern Scotland. There is an 11-person body that makes decisions for the community. Decisions are made by consensus. Most decisions are made unanimously or with a small “loyal” minority. Failing this, decisions can be passed with a 90 percent majority vote. People rarely experience any conflict. There is a positive feeling in Findhorn that everyone is accountable to the community’s best interests. And they have succeeded in launching new ventures, including a wind farm that generates enough electricity for the community to be a net exporter. Do these two examples cause me to rethink the use of consensus? At Findhorn, where people place a high value on collaboration and group decision-making, it makes perfect sense. What about Google? There I’m not so sure. I wonder about the tougher strategic decisions, where tradeoffs need to be weighed and evaluated. Could Google lose its leadership in the search engine business to a quicker, smarter competitor? Not likely in the short term, given its market share. But as with all things, the established market leader must work hard to stay nimble. And I’m not convinced Google has found the formula for that.